Yesterday I went for a walk to shop some groceries. Well, my intention was to walk, but after a few minutes, I started to run looking for a place to regain some heat. It felt as if my ears were about to loosen from the head. Those who have some knowledge of geography and the Beaufort Wind Force Scale, know that the combination of Norway, 10 degrees Celsius (14 °F) below zero and gale-force wind is an extremely painful experience for body parts that are attached outside the body. After all, I am a Norwegian and was dressed for the occasion, from the inside out: Wool underwear, lined pants, warm winter leather shoes and a parka coat with fur hood, and of course, a big wool scarf that was twisted three times around the neck. But, it still hurt. Extreme cold feels like holding your hand directly over an open fire. In my mission for a place to go indoors, I observed something rather bizarre: A Chinese hairless dog that was halfway towed by the owner through snow and icy streets. Admittedly, the young woman had sense enough to dress the miniature dog: A trendy pink sweater was glued to the dog’s body. The problem is that in addition to being hairless, hence the name, Chinese hairless dogs have very short legs. More than 5 centimeters (2 inches) of fresh snow becomes an almost impossible task for the collectible. They fit far better in woman bags where they at least have an opportunity to keep warm between powder puffs, lipstick and specially designed mobile phones. As of today, there are hundreds of naked dogs in Norway – the country bordering the Barents Sea and Europe’s northernmost mainland point, the North Cape. The country that trough six months is bathed in darkness, cold and ice. The country with polar bears walking in the streets of the Arctic archipelago of Svalbard. In addition, Norway is located very, very far from China. It is a mystery: What are these dogs doing in Norway? By the way, I prefer to stroke my hand over a real dog’s fur. 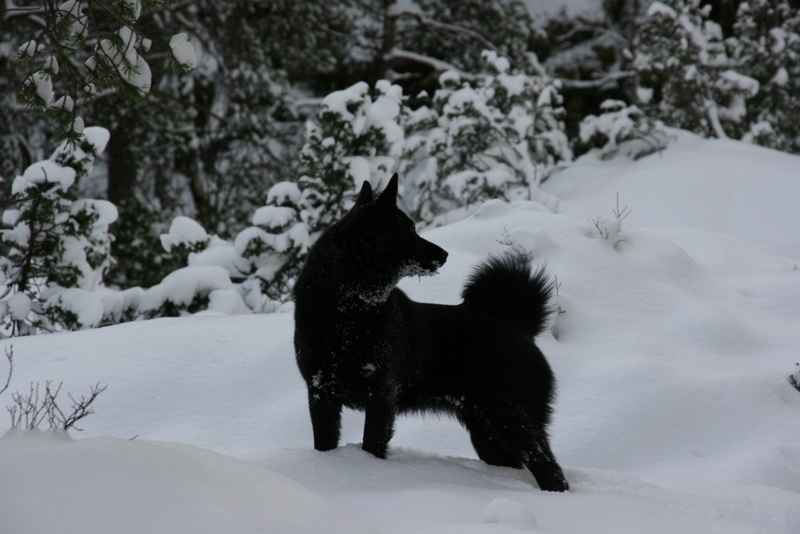 At the same time, it is a fact that six of seven Norwegian dog breeds are in danger of becoming extinct: The Black Norwegian Elkhound, Lunde Hound, Norwegian Buhund and three breeds of hare hounds; Dunker, Haldenstøver and Hygen Hound. Only the gray Norwegian Elkhound is safe. 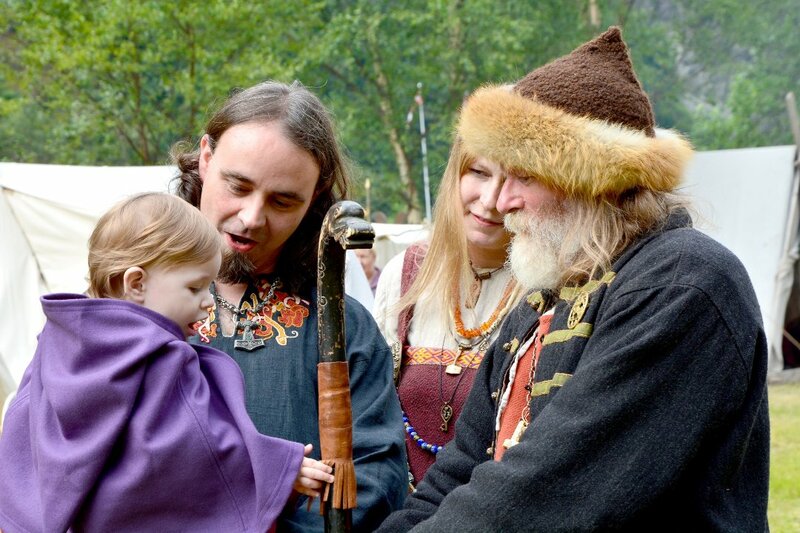 Dogs that are a legacy of our Viking ancestors and that have adapted to our extreme climatic conditions. They are obviously not as popular as hairless dogs, but in my opinion, they are far more useful and do not have to wear trendy pink sweaters or fit into a women’s handbag. Give me an Elkhound wagging its tail, eating meat bones and pulling sleds! Give me a Buhund barking at strangers, and if you are an enemy – showing its teeth! Give me a Dunker hunting for hares, smiling with its eyes when it comes running! Give me a Lunde Hound running on slippery mountains, sniffing against the weather with ice under its paws! Give me a Viking dog that has sailed the oceans, seen new worlds and always is faithful!